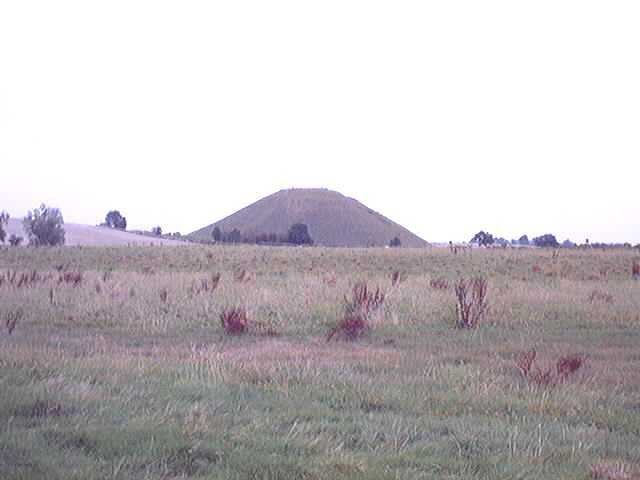 Silbury Hill is about 130 feet high, and it's HUGE! 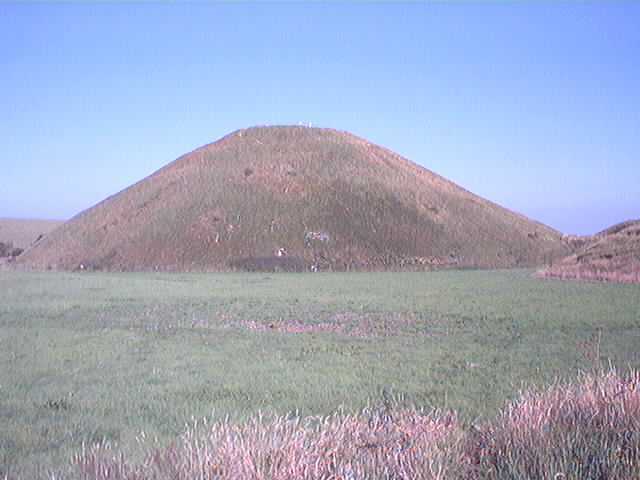 Its base covers about 5.5 acres, and the flattened top is 100 feet across. 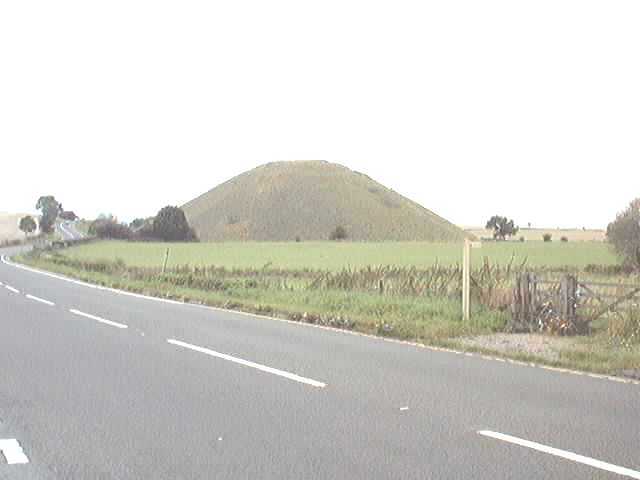 It's built on a natural spur of chalk, so the bottom 25 feet is the undisturbed bed-rock. 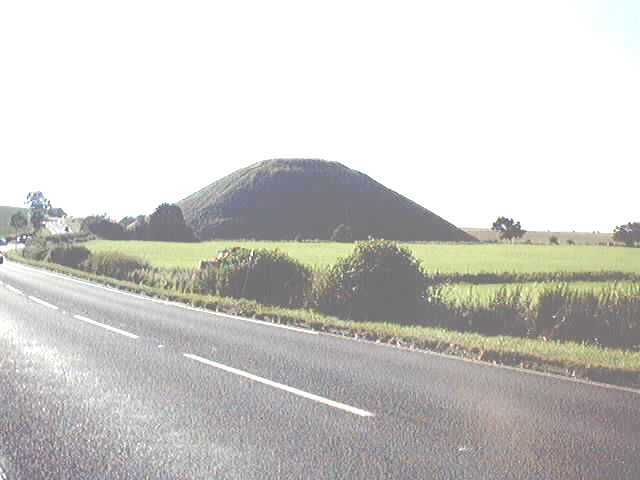 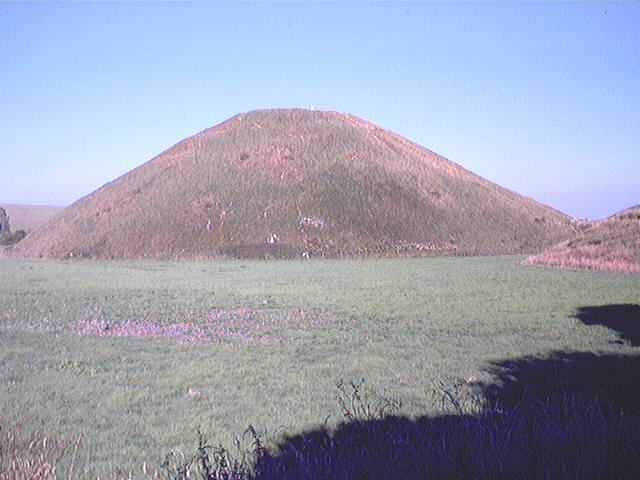 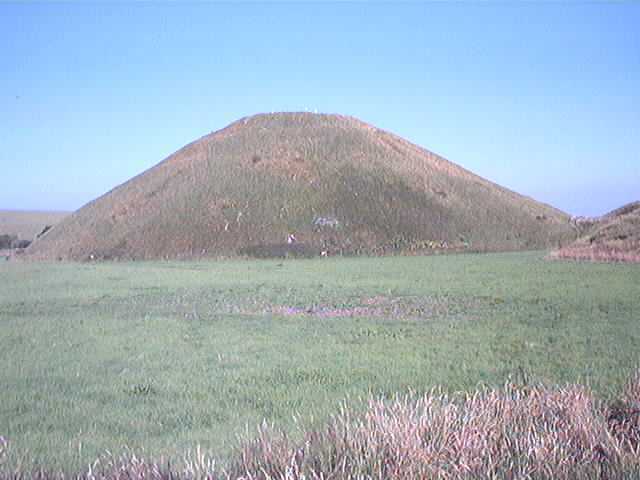 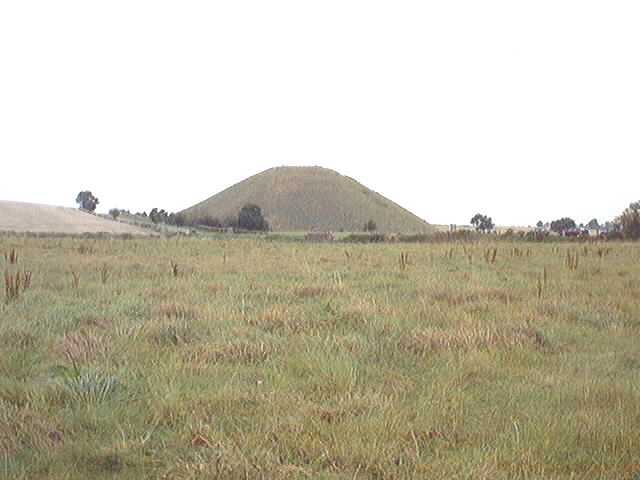 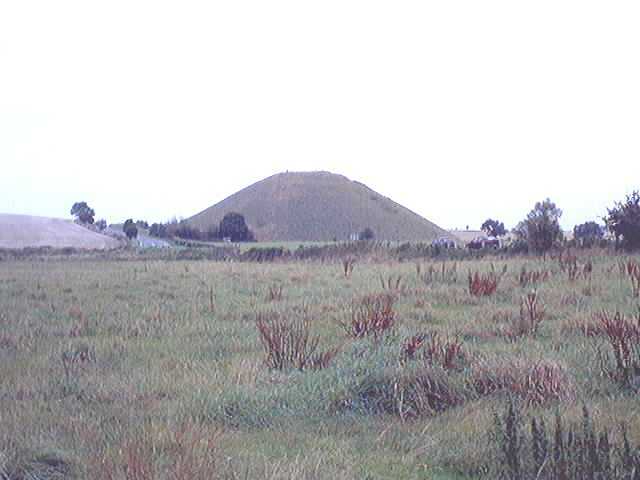 The heaped-up mound amounts to around 9 million cubic feet of material, and is surrounded by a ditch which is about 100 feet wide beside the A4, with two causeways crossing it. 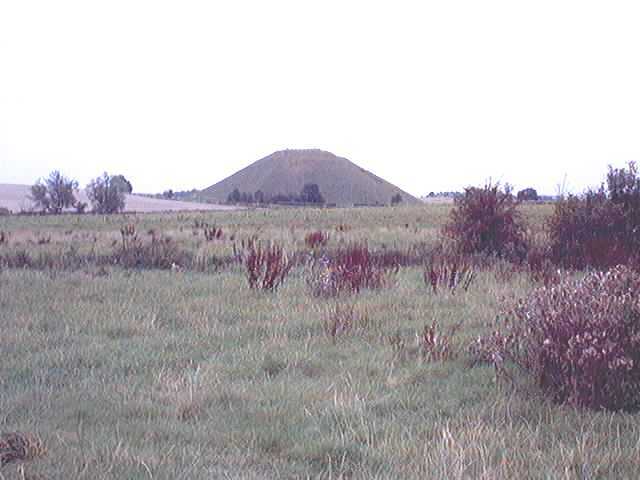 The ditch widens to about 150 feet around the NW to SE sides, and there's an enormous extension to the west.